A friend of mine shared an internet article with me today. It was a tragic story, about a couple from the local area who were killed in a mountain climbing accident while on vacation in Colorado. That may be the case, but it doesn’t change the fact that they still died. Dead is dead, end of story (literally). Plus, I’m thinking, during their final moments, those poor folks suddenly didn’t love mountain climbing quite as much as they’d thought, anyway. I’ll bet they wished they’d taken up a safer hobby. You know, one where they weren’t at the mercy of Mother Nature, who decided to dish up a serving of thunder and lightning and high winds followed by a rockslide. Like stamp collecting, for instance. Your biggest danger there would be in accidentally paying your water bill with a rare stamp worth, say, ten bucks rather than 44-cents. A bummer, to be sure, but certainly not life threatening. Plus, that’s a potentially lucrative hobby. Find one of these and baby, you're rich! 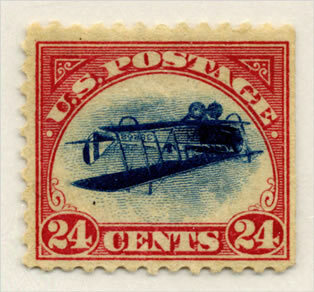 Stumble upon one of those famous upside-down airplane stamps – the “Inverted Jenny” – and you could end up pocketing a cool $977,500. The most famous reason for climbing a mountain (“because it’s there”) kinda pales in comparison. Likewise, the bull fighter who is taking his last tortured breaths after being gored is probably wishing he’d stuck to petting kittens, and the surfer who has just been mistaken for a seal by Jaws and whose severed arteries are now pumping blood into the Pacific must surely regret ever leaving the shallow end of the pool. I could go on and on, but I trust I’ve made my point. Having said all of that, I’d prefer a cool death over something lame. Everybody’s gotta check out sometime, and I figure, better to go out in style, right? At least then your surviving family members have a great story to share. Anybody can drop dead of a heart attack while standing in line at the grocery store, or wither away to nothing while cancer eats up their insides. I’d rather be trampled to death by an elephant while on an African safari, or sucked up into a funnel cloud over Kansas. In the latter case, I would hope for an “Auntie Em” joke or two during my funeral. Don’t worry about sounding insensitive or offensive; if I’m looking down from above, trust me, I’m laughing. "If the mountain goes, I'm going with it." I guess that’s why I sort of envy Harry Truman. 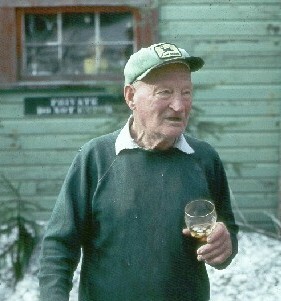 Not the 33rd President, but the cantankerous old proprietor of the Spirit Lake Lodge. When Mount St. Helens rumbled to life in the spring of 1980, Harry became a celebrity by refusing to leave his home of 54 years. He stubbornly stayed put, despite the increasing danger, telling the press, “If the mountain goes, I’m going with it.” The mountain did go, of course, erupting on May 18th. Harry Truman is buried beneath 150 feet of volcanic landslide debris, along with sixteen cats, a pink Cadillac, and a whole bunch of money from the lodge safe. It’s sad that he perished, of course, but think about it: he was 83 years old, his health was failing anyway, and he probably never felt a thing. And today, he’s a legend. That is a good way to go. My Dad, fishing in Cabo, swept away at sea… and honestly, I like to think of that over the possibility of such a vibrant, outspoken person being addled with dementia or otherwise bedridden. He went just as he should, though a little too early, in my opinion. I agree with you, Jackie. Though this post is very tongue in cheek, when you put it that way, I think it softens the blow of his death at least a little bit.